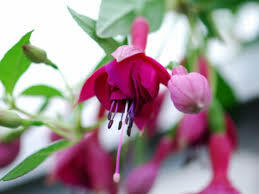 Fuchsia ‘Zwarte Snor’ Double upright. 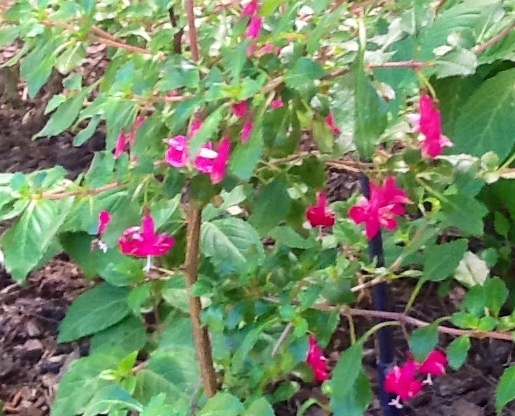 Home / Fuchsias / Fuchsias - Uprights/Tall shrubs / Fuchsia ‘Zwarte Snor’ Double upright. Fuchsia ‘Zwart Snor’ Semi double upright. Variety or Cultivar: ‘Zwarte Snor’ is an upright, bushy, semi deciduous shrub with ovate, toothed, dark green leaves, and, throughout summer, flowers with deep carmine purple sepals and double aubergine-dark purple corollas.